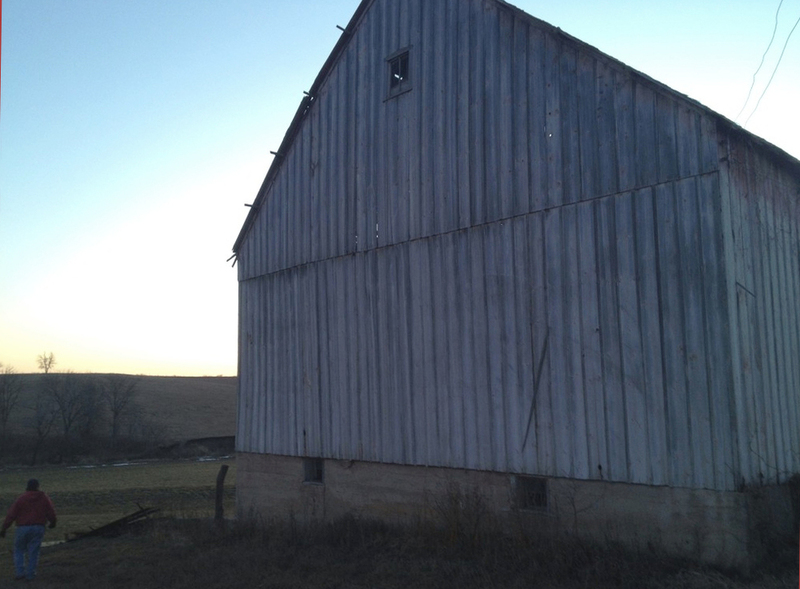 This barn near Pawnee City, NE was owned by only a few families. Built by Rudy Siske in the early 1900s using post and beam construction (where heavy timbers are carefully fitted with joints secured by large wooden pegs), the barn housed livestock and horses in the base level, where the stalls and feed boxes are located. The loft stored hay in the wintertime. In 1935, Albert and Ina Spier bought the property from Phillip Wenzel, and for over forty years they milked cows in the newly converted dairy barn. Marv and Julie Luedders, the current owners, have run their farm for thirty-five years and used the barn as a calving facility. 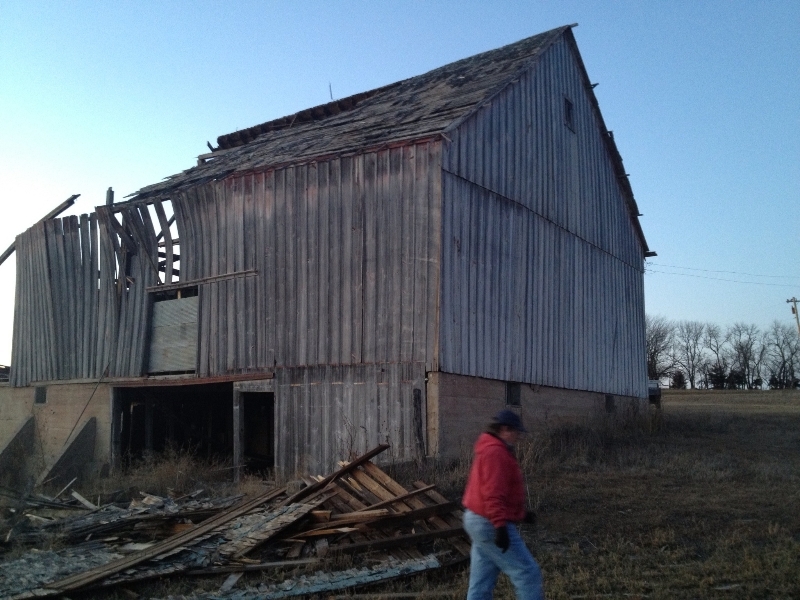 Unfortunately, after over 100 years of near-constant use, the barn and its roof started to fall into disrepair. 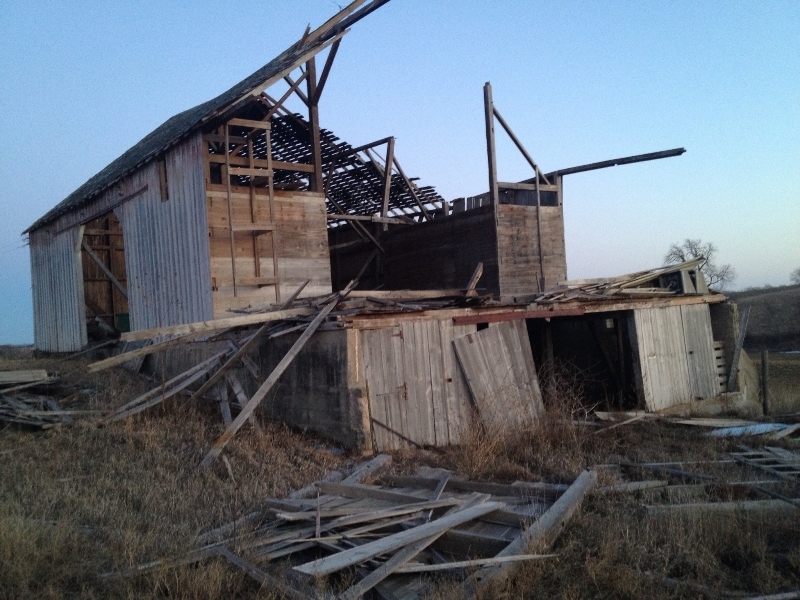 It didn’t take long for the relentless Nebraska wind, which had blown across the plains and against the barn’s walls for over a century, to blow the barn down in 2012. Our appreciation and sincere thanks goes to Ina Spier and the Luedders for sharing their stories with us.